Bluebox Security has found a flaw in Android’s security a while ago. It seems that the alleged bug exists since Android Donut 1.6 version and was transmitted to Google in February, so the Galaxy S4 was from day one out of risk. Technically, the vulnerability that we’re talking about here is the fact that a hacker can transform a normal app into a Trojan by changing the app’s code without breaking the app’s signature. Bluebox says that the vulnerabilty exploits differences between how the apps are verified and how they are installed. 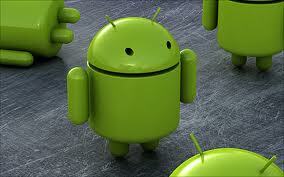 It is estimated that 99% of the Android phones are flawed by this. While this is a concerning number, it doesn’t necessarily mean that it will be exploited by some hacker any time soon, mainly because Google was working on fixing it for 5 months. In recent news, CIO is reporting that Google has managed to change Play Store’s app entry process, meaning that any exploited app is blocked and is unable to be distributed through Play Store.